Prior to the arrival of your shipment, you will be contacted by our destination agent. 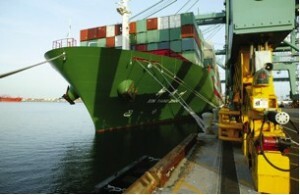 All of Rainier’s agents have extensive experience in international shipping and customs clearance. Our destination agent’s import department will make every effort to ensure a quick and hassle-free clearance and delivery of your shipment. Note: Rainier’s sales representative can provide you the destination agent’s contact details prior to your shipment even leaving the origin country if you have any specific questions about the delivery portion of your move. If our destination agent is not aware of your shipment on first contact please do not worry. Simply leave your name and contact details with them and they will get back in touch with you immediately as more information is known. If you contracted for port-only service, Rainier Overseas or the steamship line’s agent will notify you of your shipment’s arrival with the expectation that you will arrange for your own customs clearance and delivery. 1. Location of the nearest parking facility to unload a 12 ton truck. 2. Distance from that space to the entrance of your building including the number of up/down steps along the way. 3. Measurements of the widths of all doors, elevators, hallways and any other entrances. Following this meeting you need only await the arrival of your shipment.